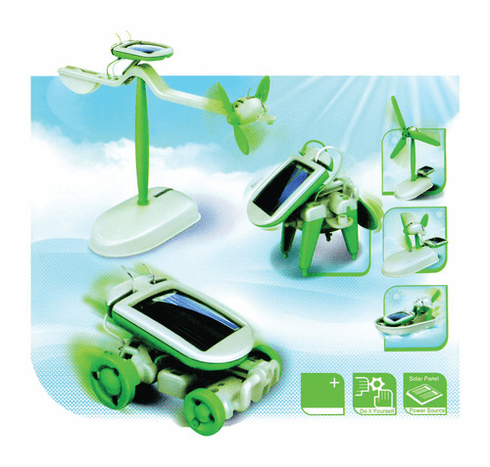 Another high quality Solar Education kit from OWI. Building these projects teach the benefits of solar energy while having fun. 6-In-1 Educational Solar Kit is an excellent beginner building kit designed to teach how solar power is used to drive a small motor. Use the 21 snap together parts - no tools required - to build six different working models including an airboat, windmill, puppy and two different planes. Only one project can be completed at a time. NO BATTERIES NEEDED of course.